Its all about going out on a high! They always say to leave on a high note and this also includes property investment - except you leave on a high price! To know when to sell you have to understand, what I call, the property quadrant. +/- YIELD A positive yield means that as a result of your investment cash is put in to your pocket. So ALL expenses are taken into account. This includes interest payments, void periods, repairs, management fees and tax. A negative yield means that as a result of your investment cash is taken out of your pocket. This will be due to increased interest payments (caused by an increase in interest rates or over borrowing), higher voids (caused by over supply of the rental market) and large repair bills. +/- GROWTH A positive growth means that the property’s value is on the trend upwards. A negative growth means the property’s value is on the trend downwards. (COLDSPOT) No one wants these properties as investments! These investments are bad for your wealth. The only buyers are owner-occupiers buying to live there rather than to buy and rent out. When owner-occupiers are unable to buy due to unaffordability then a rapid decline happens. Certain areas will become warm spots. See below. Posh areas such as Kensington, Cambridge and Oxford No investors as it is negative yield AND negative growth. Owner-occupiers only. (WARMSPOT) Along the way down of the rapid decline certain areas will still put cash in your pocket but will still further decline. Considering the market is only heading downwards only professional investors will take the chance as the investment is cash positive. Owner occupiers will wait for the market to bottom out. Property prices will recover due to rental price increases, falling interest rates and properties becoming affordable and hence a warm spot becomes a hotspot – see above! None currently. Professional Investor in a falling market. The professional sees that these investments are better than leaving their cash in the bank. There is no point in selling when your property is currently in a hotspot (unless you want to sell your portfolio in one hit – see below). This is because there is still room for the price to grow and its currently profitable thus its not costing you to hold. It only becomes worth selling when the property becomes unprofitable but the price is still growing. The highest point in the market can only ever exist within a Cooling Spot. This is because the property price has risen to the point that it is unprofitable but it is still on the trend upwards. The professional investor drops out of buying in this market and only owner-occupiers and novice investors remain. Owner-Occupier Self-certified Borrowing In the UK we borrow at the current variable base rate and not at the long term average rate. Currently the long term rate is around 5.7% and the variable base rate is at 4%. This is why we have a boom bust cycle. When rates fall below the long term rate first time buyers over borrow, as they can afford it, by obtaining a self-certified mortgage thus increasing their buying power. Their increase in buying power creates the bubble element as their buying power takes them over the real value of the property. High Income Multiple Lending Some lenders are offering in excess of 4 times salary. This enables a first time buyer to borrow in excess of the real value of the property thus creating a bubble element. Consumer Debt Some people borrow the deposit for the property by way of loan. This means you can enter the property market very quickly as you do not have to wait to save up for a deposit. This increases the number of buyers thus increasing demand for property hence pushing up the price of the property. 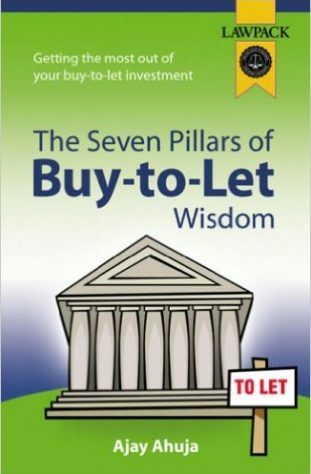 Novice Investor and Speculative Investor Buy to Let Due to the buy to let mortgage also operating under the current variable base rate the same problem occurs here. Instead of demanding a 2% loading over the long term rate they demand a 2% loading over the current variable base rate. This means you get novice investors buying at 6% yields and below hence superceeding the first time buyers highest price. Due to the poor performance of the stock market in recent years the property market has attracted the traditional stock market investor. Here the investor will invest for capital growth and so will be happy to take less than a 2% loading. The speculative investor will make the estimation that the growth experienced in the past will happen in the future over the short term. The speculative investor’s bid then superceeds the first time buyer’s bid hence a bubble element will exist. It is these type of buyers that do cause the bubble in the property market – so use them to your advantage! To find out about where all the hotspots, cooling spots, coldspots and warmspots are in the UK then visit www.propertyhotspots.net. This site also has a national yield and capital growth index for over 330 areas in the UK. If you want to sell your portfolio as one job lot then you have no choice but to sell to the dreaded ‘Professional Investor’! You are not then selling to the public or even your standard investor but the professional investor. The professional investor will look beyond whether the tenant pays the rent on time, a tenancy exists or the décor as he will assume all these headaches. What he wants to know are the core fundamentals. Professional investors will only ever invest in warm or hot spots. Since there are hotspots that exist the professional investor will only invest in a warm spot for non-financial reasons. This could be due to living near the warm spot, knowledge of the area or the preference not to invest in a hotspot due to type of tenant. So you either have to sell when the portfolio is in either a hotspot or warm spot. You should preferably position your property portfolio for sale when it is in hotspot. At least the property portfolio value is growing and the professional investor may over speculate and give that little bit more, banking on further rises which will be probably likely. You should avoid selling in a warmspot as the value of the property portfolio is falling and the professional investor will use this to his advantage and over discount his offer to you. One thing to learn in all this is never, never, never sell in a coldspot. This is where the general property market loses but the professional investor survives as he never realises his losses. Selling in a falling market is can cost you dearly. The sale price is deemed to be the price achieved after deducting estate agent costs, solicitors’ fees and any other expenses that were incurred wholly, necessarily and exclusively in the sale of the property. The purchase price is the cost of the property plus all survey and legal costs. The sales price and the purchase price are fixed. You cannot change what you sold the property for or what you paid for it. are still reflected in the state or nature of the property at the date of its disposal. You may not claim the cost of normal maintenance and repairs. So the first part of reducing your capital gain is to include ALL costs involved with the purchase, ownership period and sale of the property that fall within the definitions stated by the Inland Revenue. But it doesn’t stop here! You can further relief on the gain. Read on. You can still reduce your gain further. Everybody gets a capital gains tax allowance of £7,900 per tax year rising year on year with inflation. So if you have a gain of £10,000 then it is reduced by £7,900 to £2,100. If you are selling a couple of properties then if you can straddle the sales either side of the 5th of April year end date of the tax year. This way you can apply your capital gains allowance for the tax year prior to 5th of April on one of the properties and your capital gains allowance for the tax year after the 5th of April for the other property. This way you can make full use of your yearly allowances. There is one final trick – Principal Place of Residence. (5-3)/13 of the gain is chargeable. (Amount of years rented – 3 years)/Period of ownership. You may have heard of these terms fly about in connection with properties and pensions. Let me explain their relevance to this subject. This stands for Self Invested Personal Pension. The reason why it is mentioned is that you can buy commercial property within this pension and enjoy all the tax breaks a normal pension has. The reason why a SIPP is not applicable in this situation is because we are investing in residential property. Residential property is not allowed under the SIPP scheme. This is my own personal opinion. You may think that commercial property is for you. If you do get in to this game I would seriously consider investing in commercial property under this umbrella of a SIPP as the shelter to tax is quite significant. This stands for a Funded Unapproved Retirement Benefit Scheme. Its main beneficiaries are the higher rate tax payers only. So if you’re not a higher rate tax payer and don’t expect to be one then ignore this bit. Profits from the scheme are taxed at 22% rather than 40% if you are a higher rate tax payer. Capital gains tax is 34% in comparison to 40%. A FURBS also attracts the normal taper relief explained above. You can pass a FURBS down to your family. There is no Inheritance tax to pay when passed on after death as opposed to being subject to the normal inheritance tax limits (currently £259,000). A traditional pension fund is not passable down. There is no limit on the contributions to a FURBS but you do not get any tax relief on your contributions. The whole of the fund can be withdrawn tax free compared to a traditional pension fund being restricted to 25%. Retirement can be even after the age of 75. Traditional pension funds are restricted to age 75. You can only access the money at retirement. If you want to retire prior to normal retirement age then its not possible under this scheme. FURBS restrict your freedom. Once you invest your money in a FURBS you can’t get at it till retirement. There are administrational costs involved. You have to use an accountant and the accounting for such a scheme has to be spot on. Personally I like the freedom that I have. Maybe when I’m over 45 and FURBS are still about then I’ll consider one. I think if you’re target earning is more than £50,000 p.a. profit from property, you don’t require any of this £50,000+ p.a. to live on today and you’re aged over 45 then a FURBS may be for you. Seek professional advice. Once you’ve sold up you can buy that yacht that you’ve always wanted and retire to the South of France. But I suspect you’ll be back in a year looking to buy and build up a portfolio again…….